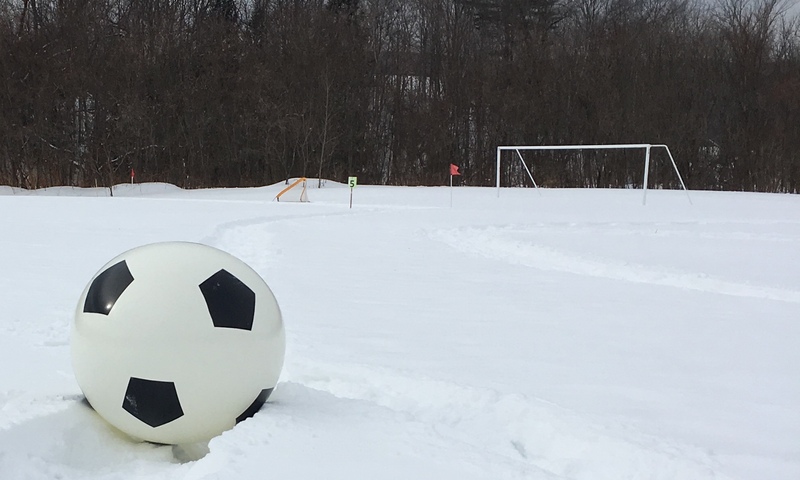 Waterbury Youth Soccer hosted an afternoon of Olympic-inspired events as part of Waterbury's 10-day Winterfest celebration. Over 100 attendees from Waterbury and neighboring towns as far as Morrisville, Mad River and Montpelier participated in events such as Giant Pick-up Soccer, the Soccer Slolam and the Soccer Biathalon. Oympians claimed their medals before warming up by the bonfire to roast marshmellows. Based on the success of this debut event, look out for Snow Soccer during next year's Winterfest celebration!